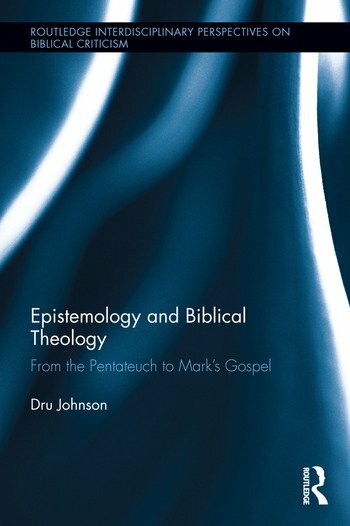 Epistemology and Biblical Theology pursues a coherent theory of knowledge as described across the Pentateuch and Mark's Gospel. As a work from the emerging field of philosophical criticism, this volume explores in each biblical text both narrative and paraenesis to assess what theory of knowledge might be presumed or advocated and the coherence of that structure across texts. In the Pentateuch and Mark, primacy is placed on heeding an authenticated and authoritative prophet, and then enacting the guidance given in order to see what is being shown—in order to know. Erroneous knowing follows the same boundaries: failure to attend to the proper authoritative voice or failure to enact guidance creates mistaken understanding. With a working construct of proper knowing in hand, points of contact with and difficulties for contemporary philosophical epistemologies are suggested. In the end, Michael Polanyi’s scientific epistemology emerges as the most commensurable view with knowing as it appears in these foundational biblical texts. Therefore, this book will be of interest to scholars working across the fields of Biblical studies and philosophy. Dru Johnson is an associate professor of biblical and theological studies at The King's College (New York City, NY); co-chair of the Hebrew Bible and Philosophy unit in the Society of Biblical Literature; associate director of the Templeton Jewish Philosophical Theology Project at The Herzl Institute (Jerusalem, Israel); and formerly a Templeton Research Fellow in Analytic Theology at the Institute for Advanced Studies—Shalem Center (Jerusalem). His recent books include: Knowledge by Ritual (Eisenbrauns, 2016) and Scripture’s Knowing (Cascade, 2015).